Ideal for a Large Group of Kids! 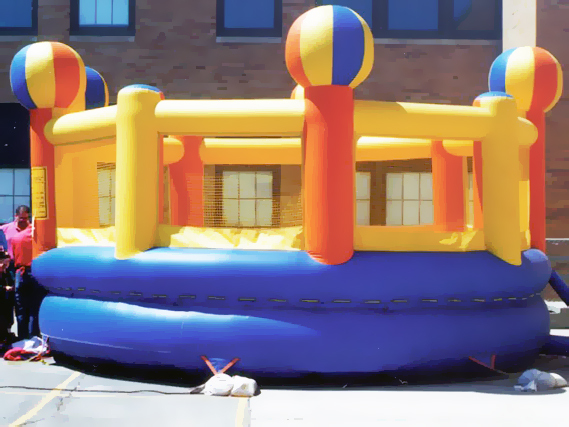 Our Giant Castle Moonwalk is great for a larger group of kids! Its circular shape allows for chasing games inside! Kids can bounce and bump for hours in this inflatable! An open top allows a nice breeze to be felt inside! A perfect choice for your event!